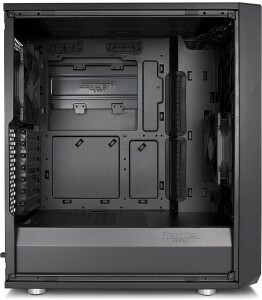 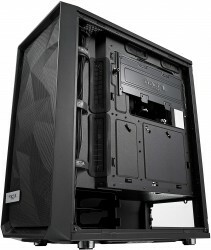 The Fractal Meshify is a compact chassis without any limitations. 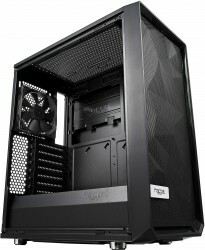 It is extremely well ventilated to provide the best possible cooling for the installed components. Fractal Design's Meshify strikes an aggressive pose in their lineup with unparalleled cooling performance and a defiant look. 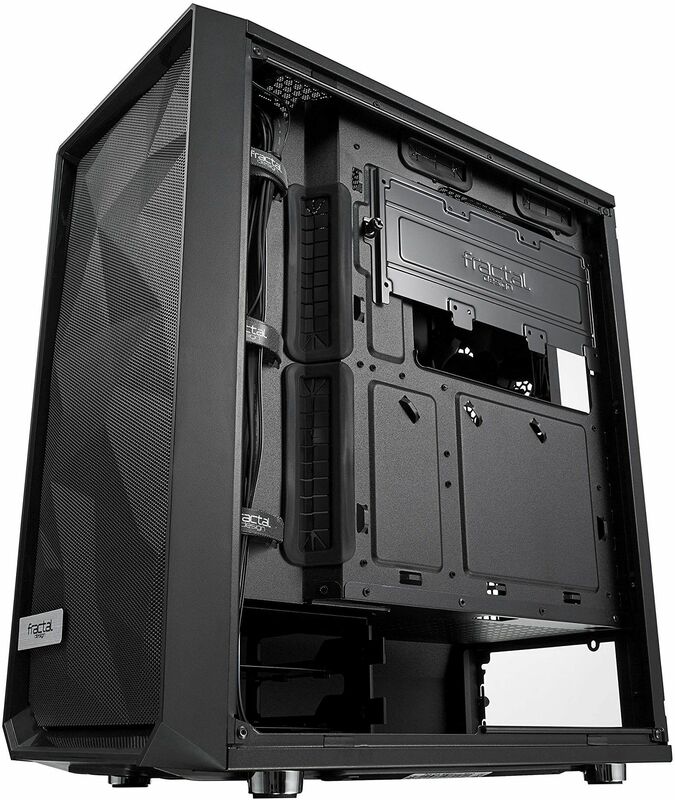 Like black diamond facets, the angular asymmetry of the Meshify C carves a space uniquely its own as a new force in high-airflow design. 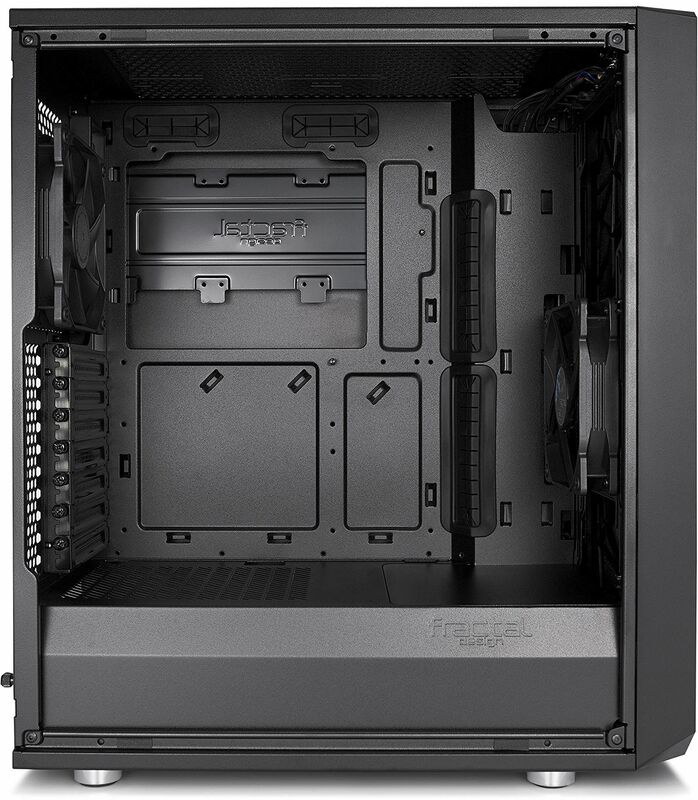 An open ATX layout with intelligent space utilisation creates an unrestricted airflow path from the mesh front intakes directly through key components to exhaust, ensuring heat is never an issue. 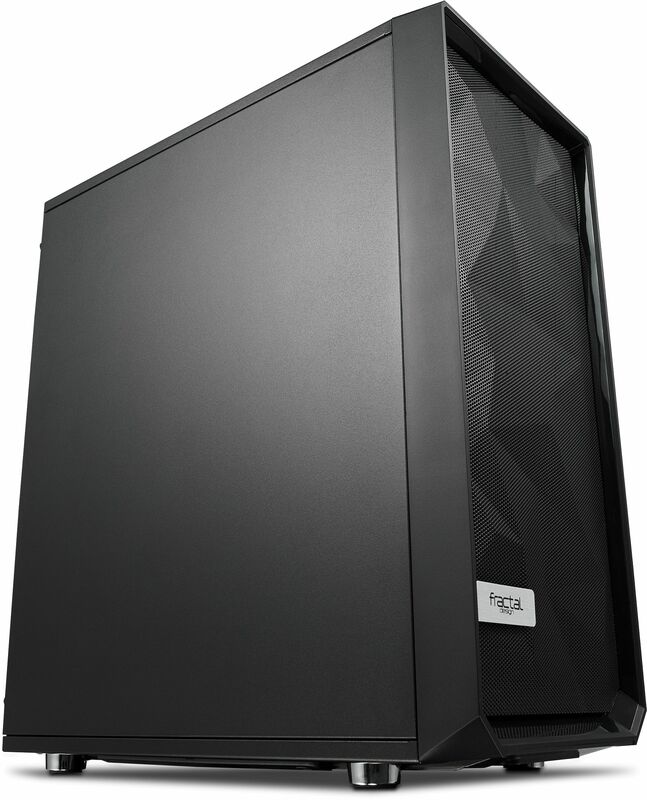 The Meshify C has a remarkably compact footprint with the high-end component support of a larger tower, and with seven fan mounts and multi-radiator capability, it has the cooling capacity to match.